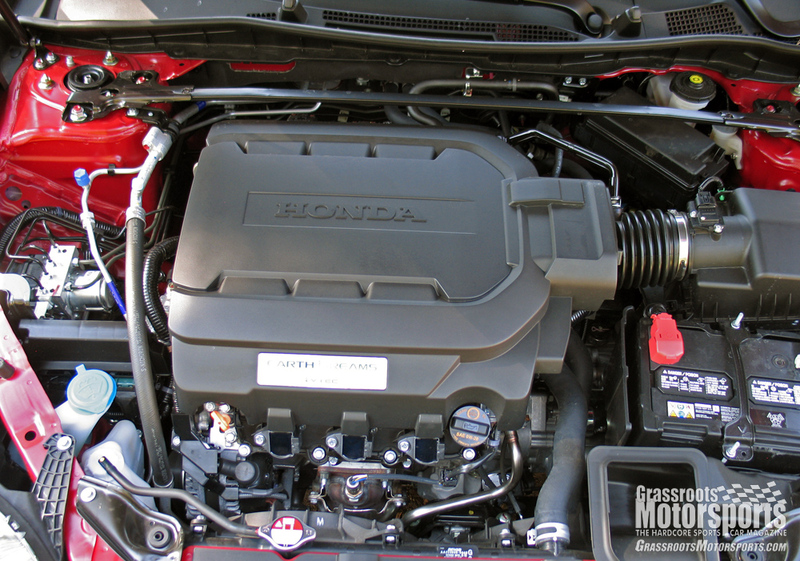 Honda has never made a proper high-performance Accord like they have with their myriad Civic Sis. Now, they're finally providing it. This HFP package provides a suspension, wheel, and style package as a $4620 option. It even comes with a 6-speed manual transmission. Mention the name Honda Accord and what springs to mind? Reliability, comfort, practicality, longevity—these are all things associated with Honda’s longtime family car. One word you never hear in the same sentence as Accord is fun, and Honda’s new HFP package aims to change this. Although the dealer-installed HFP package is comprised of mostly cosmetic bits, the suspension tuning is what really transforms this car. The engineers at Honda Racing Development reportedly had a hand in dialing in the suspension of this latest Accord, and it really shows. This big coupe feels light on its feet, turns into corners with enthusiasm, and tackles changes in direction with more poise than any previous Accord. The V6 is smooth and strong and lets out a lovely feline wail as the RPMs rise. Honda has known how to make a satisfying gearbox for a long time now, and this Accord carries on that tradition. 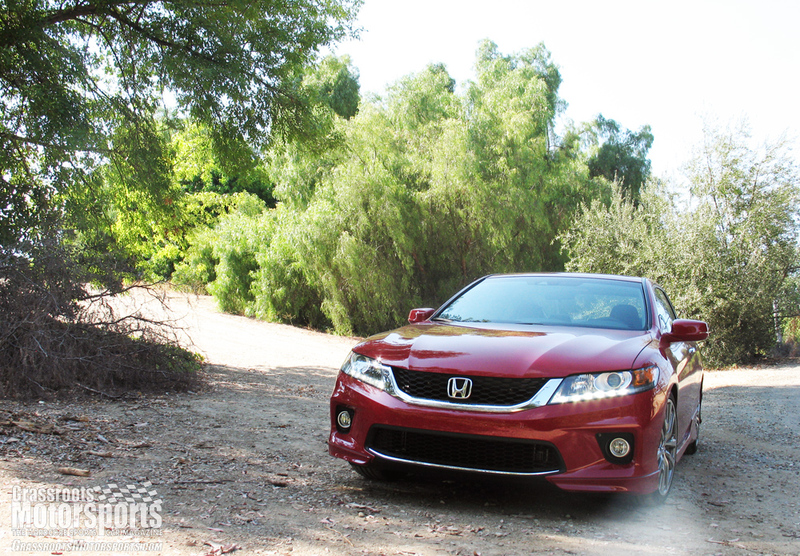 The 6-speed manual in our test car was smooth, accurate and everything a shifter should be. At this car’s impressively high handling limits, it reverts to predictable understeer, which is to be expected in a nose-heavy front-driver. What impresses most is how well it behaves in everyday operation. Regardless of speed or environment, the HFP Accord feels planted, secure and—dare we say it—fun. It feels eager and more than willing to zip through traffic, rush up a mountain pass, or slog along on the daily commute. User-friendliness may be this car’s biggest asset, as it is always a pleasure, always comfortable and always capable. This willingness to please carries along to the plethora of electronic convenience items this car contains. What surprises isn’t the amount of technology, but how easy and well integrated that technology is. Even our most “electronically challenged” staffer found it simple to set up the Bluetooth, program the audio controls and navigate through the menu items. Heck, this Accord even allows the user to program an image as wallpaper on the display screen—no more blocking the gauges with pictures of the grandkids or pooches! While the new BMW 3 Series and Infiniti G37 may offer slightly better chassis dynamics than this latest Accord, neither has an engine note as nice as this Honda. 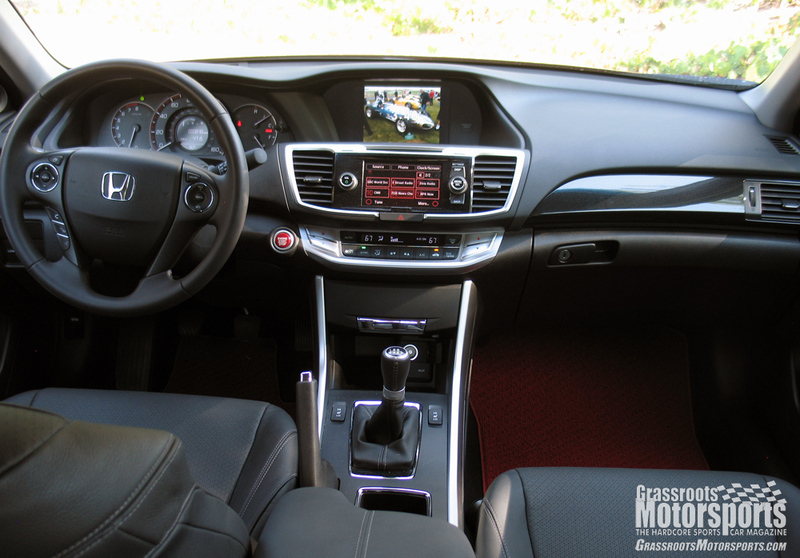 This newest Accord also undercuts the competition with an MSRP of around $35K. This seems like a bargain to us for a car that could have easily been called the Accord Si, or Accord Type R.